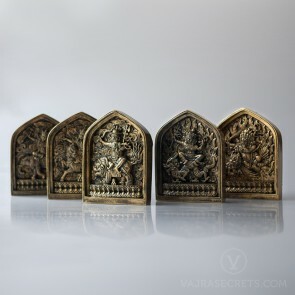 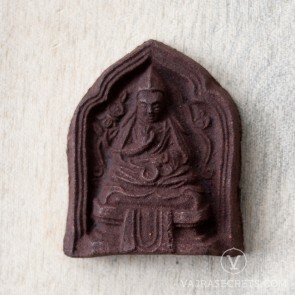 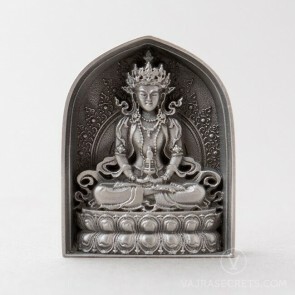 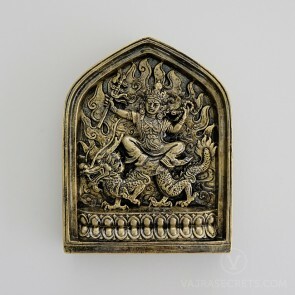 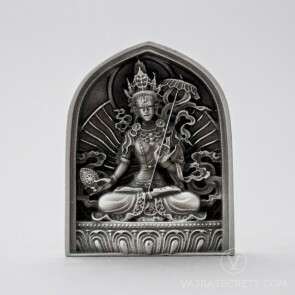 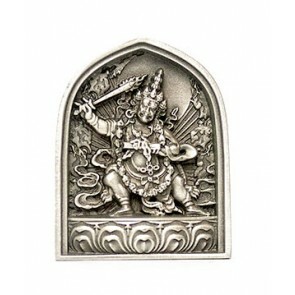 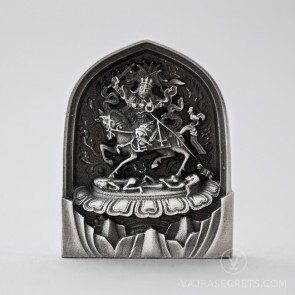 Tsa tsas, a form of traditional Tibetan Buddhist art, are votive tablets made from a metal mould containing the hollowed, reversed image of a deity, stupa or other sacred symbol. 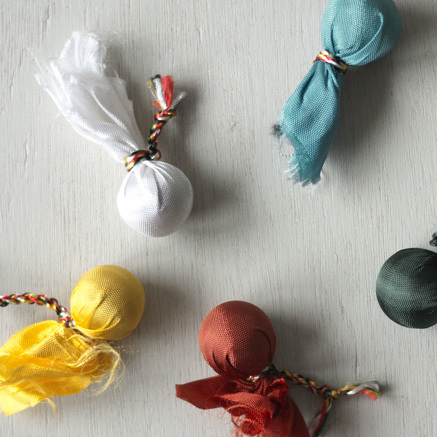 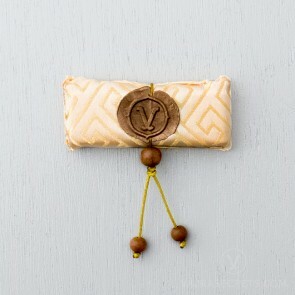 In Tibet, tsa tsas are traditionally made with clay and left to harden. 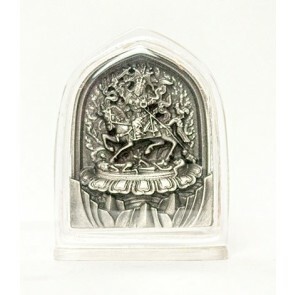 These days, more modern and durable materials are used, such as resin, plaster, hydro-stone and even pewter. Tibetans believe that making tsa tsas is a merit-accumulating action. 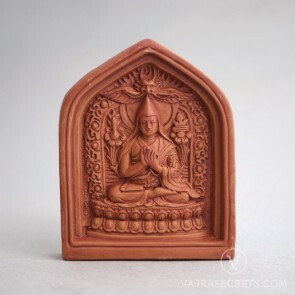 It is one of the five preliminary practices in Vajrayana Buddhism – a method to eliminate obstacles, purify negativities, and create positive energy (merit). 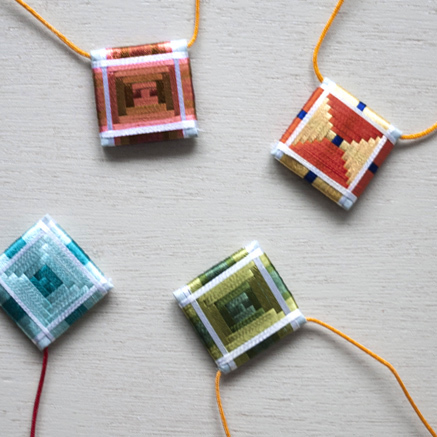 Students are often given a commitment to make 100,000 tsa tsas during their lifetime. 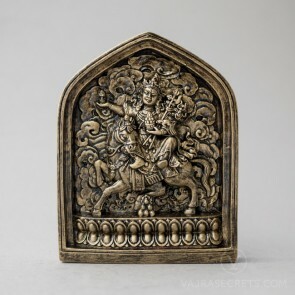 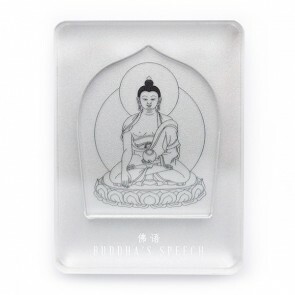 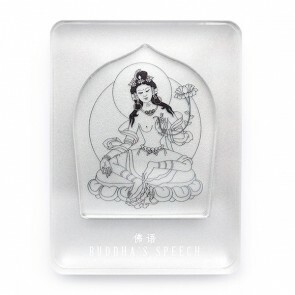 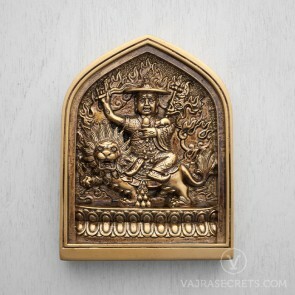 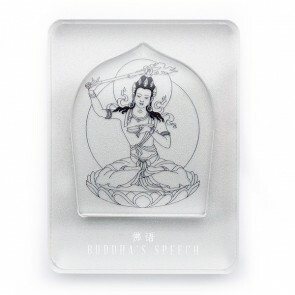 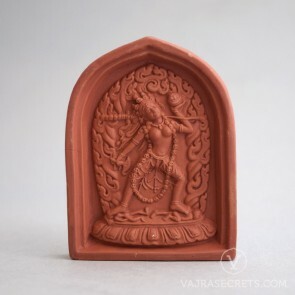 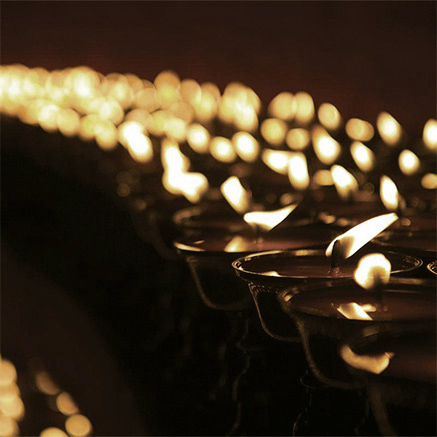 Tsa tsas can be placed on our altars, shrines, or cars; inside stupas and prayer wheel niches; and at holy sites such as meditation caves, mountains and lakes. 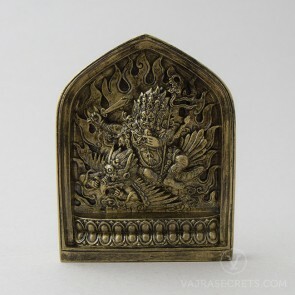 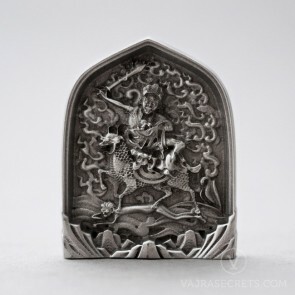 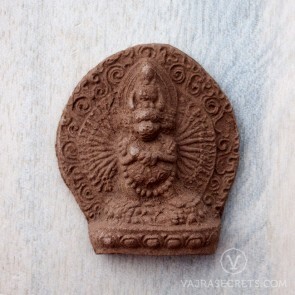 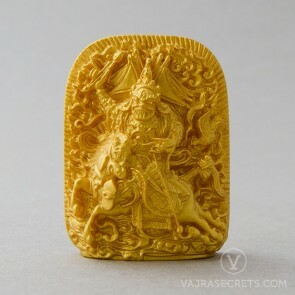 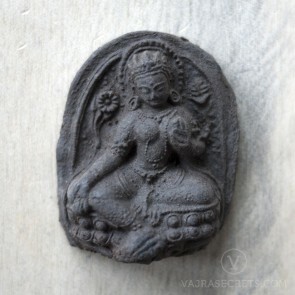 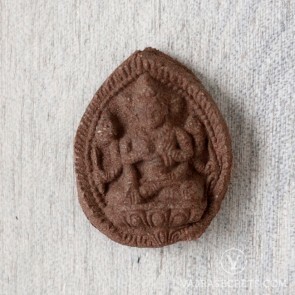 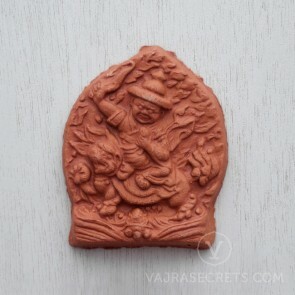 Smaller tsa tsas can be put inside a ghau (portable shrine) and used as an amulet by those travelling. 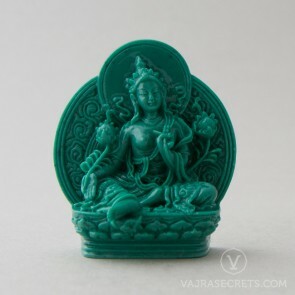 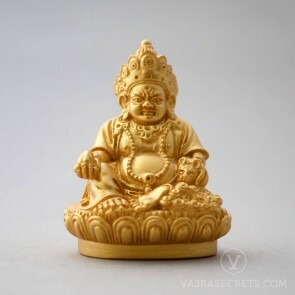 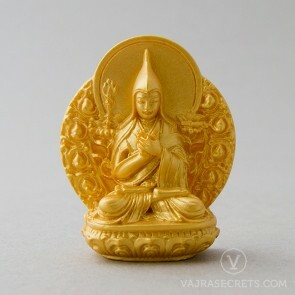 Regardless of their size, tsa tsas represent the Buddhas' body and grant blessings and protection wherever they are placed.